I haven’t used my Firstrade account for a while. Actually, the account is largely abandoned since I moved all my investments at Firstrade to TradeKing last December. Tonight, when I didn’t log into my account to send a referral to a reader, I noticed that Firstrade is now also offering a $50 cash bonus in their Refer-A-Friend program for referring new customers to the discount broker (TradeKing is offering $50 bonus for every new account this month). In the past, Firstrade only gave 5 free trade (Firstrade charge $6.95 per trade) for both the referrer and referee. If I have to choose, then I will prefer to receive cash incentive over free trades because I can use the money for other things than buying stocks. The referee will receive an e-mail notification with a promotional code. The promotional code must be activated at the time of the new account online application in order to be eligible. The referee must open a new Firstrade account and deposit $1,000 within the first 30 days of opening the new account and execute at least one equity (stock) or options trade within 30 days from the initial deposit date. 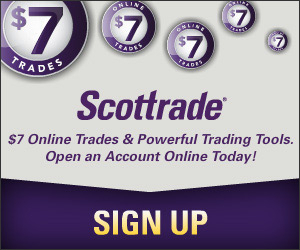 If you are interested in getting a Firstrade account and receiving 5 free trades plus a $20 bonus, use the Contact Form to send me a request with Firstrade referral in the subject. Also check out my referral page for incentives from other brokers and banks. Firstrade actually has a Black Friday Promo this November 28, 2008. We are giving away free ipod nanos to the first 200 people who open an account that day. are they still offering this 5 free trade? I’m interested, how wil I receive the Amazon gift card? pls send me the referral code,thanks! pls send me your referral code. many thanks! Please, be so kind as to send me the code. pls send me your firstrade referral code. many thanks! Can you please send me a referral code? Please send referral to me to RevolutionMoneyExchange and Firstrade (put referral cash in RME instead of amazon card).